This stunning unique gable end window became a feature piece in the master bedroom. 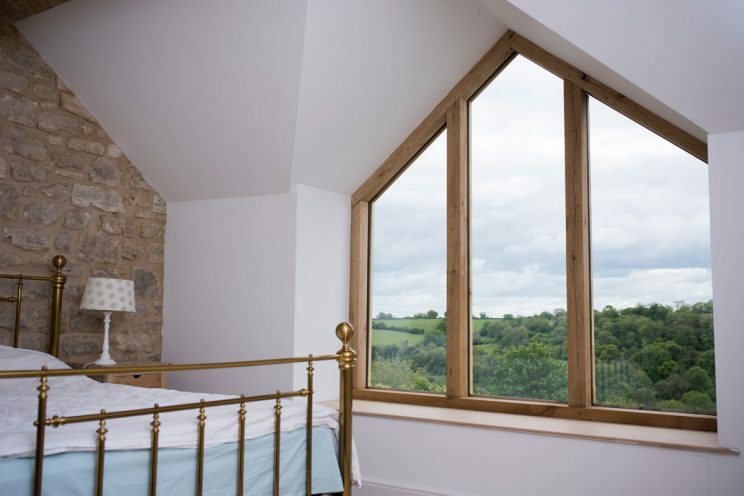 This particular window was part of a large renovation project near Bradford on Avon. 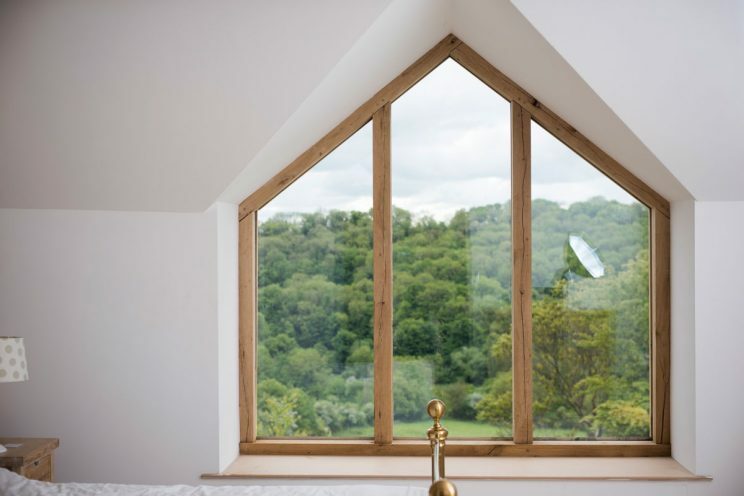 The characterful period home was set on a wooded hillside overlooking Avoncliffe Mill and Upper Westwood. 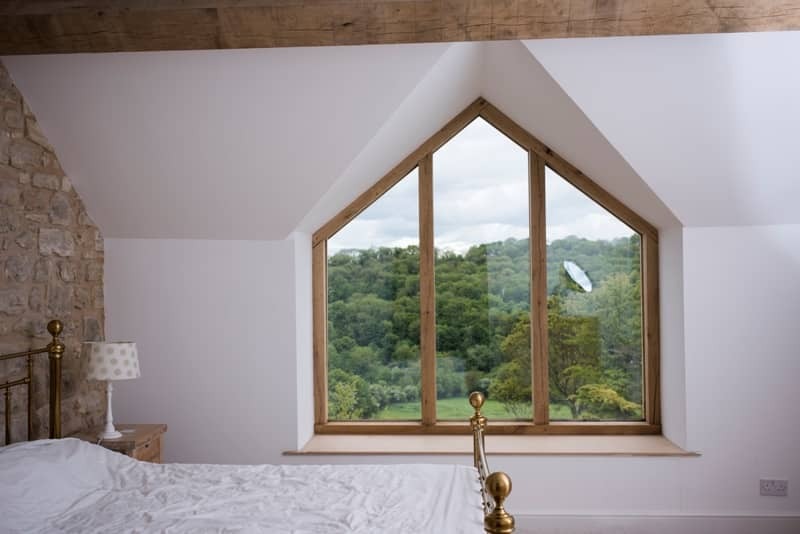 We crafted and fitted this stunning gable end window in their master bedroom. 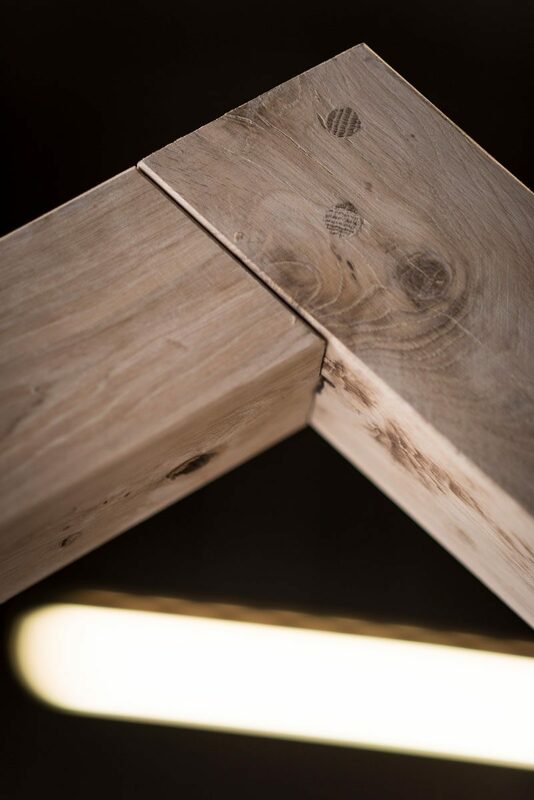 The room had been extended and featured a tall pointed ceiling. This posed a series of unique spaces, which in turn required bespoke windows. This window, created from fresh sawn oak, was the largest and featured three ‘church’ style pointed glass panes. 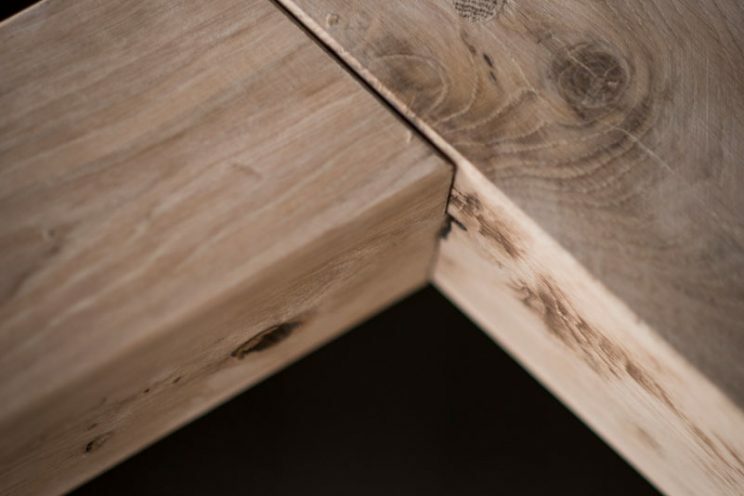 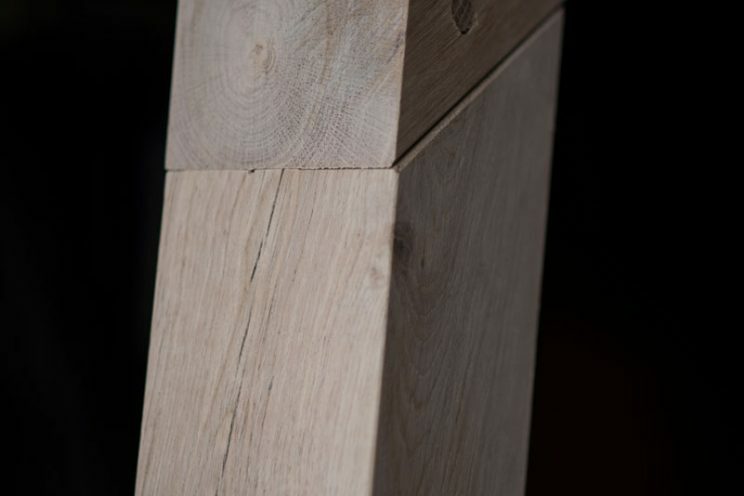 The timber was finished but left with a ‘naked’ effect to showcase the true beauty of the grain. 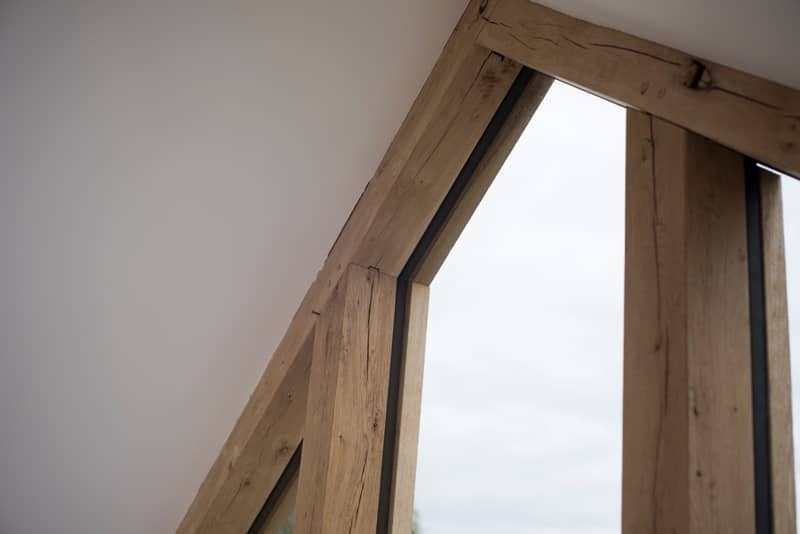 Alongside this window, we were also commissioned to design, make and install all the joinery throughout the house. 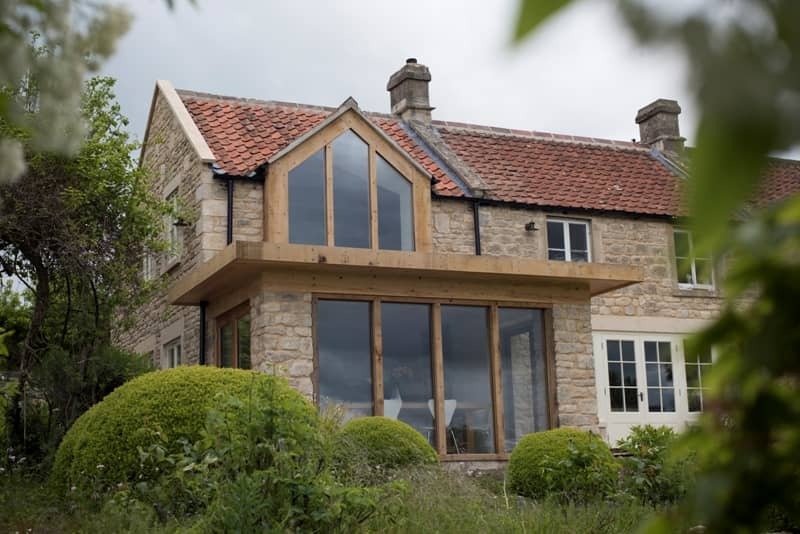 Working closely with our clients and their architect to make all the key decisions, we mixed up the styles within our work, with some sleek, contemporary elements and some period style mouldings to complement the exposed stone. 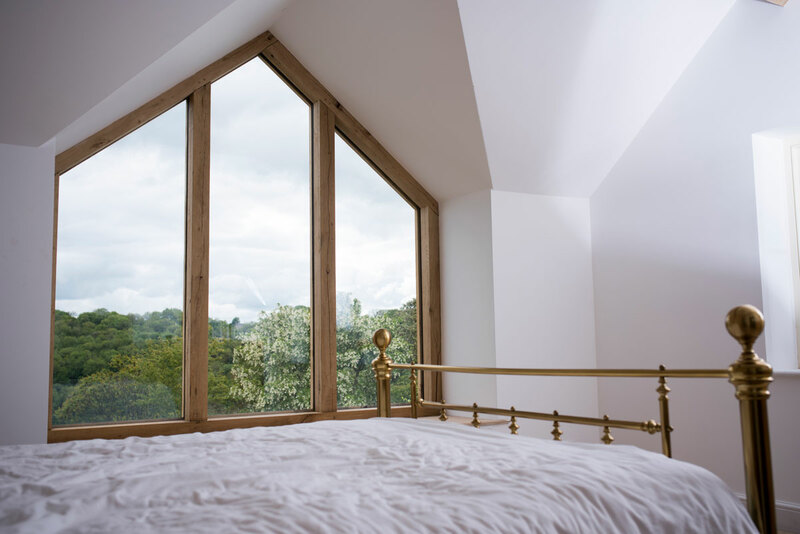 We really love the flow of textures and light throughout this open plan house – plenty of glass to make the most of the amazing views, honey coloured exposed stone next to rustic fresh oak and zinc roof materials. 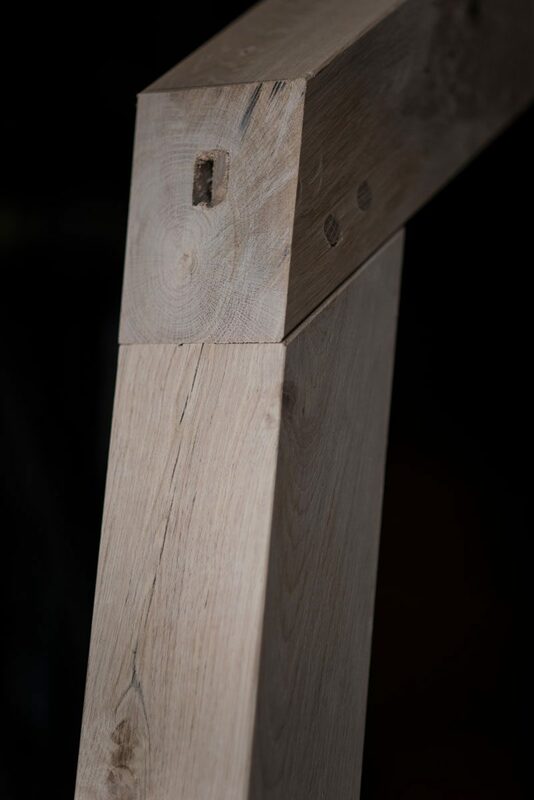 Discover the full project here.